House Republicans got good news and bad news about their healthcare reform bill Monday from Congress' nonpartisan umpire. Their bill, the American Health Care Act, would drive up the number of uninsured Americans by 24 million over the next decade, largely because of the bill's Medicaid changes, according to the Congressional Budget Office and the Joint Committee on Taxation. But the bill would reduce the federal deficit by $337 billion over the coming decade by cutting Medicaid spending and eliminating the Affordable Care Act's premium subsidies. In mixed news for Republicans, the scorekeepers said the bill would spike premiums in the individual insurance market in 2018 and 2019 by 15% to 20% but that rates would later start decreasing. By 2026, premiums would be 10% lower than under current law, the agencies projected. Before the CBO analysis was released, President Donald Trump invited people affected negatively by the law to the White House for a listening session. Trump blasted the Affordable Care Act Monday, saying the law is "a disaster" but that the media makes it look "wonderful." Trump also praised the GOP plan to repeal and replace the healthcare reform law. "We're not going to have one-size-fits-all," Trump said. "Instead, we're going to be working to unleash the power of the private marketplace to let insurers come in and compete for your business. And you'll see rates go down, down, down and plans go up, up, up." The CBO projections will be used as ammunition by both the bill's supporters and critics. But the projections are likely to prove more powerful for opponents and skeptics, including Senate Republicans, who want to see more generous premium tax credits, a continuation of the ACA's Medicaid expansion to low-income adults and a rollback of the bill's Medicaid spending cuts. “This is totally devastating,” said David Cutler, a pro-ACA health policy expert at Harvard University. “There's no way anyone can vote for this plan knowing that it will likely cause 24 million people to lose insurance coverage." “Adding more than 20 million-plus individuals to uninsured status is not an ideal way to reduce future budget deficits,” said Tom Miller, a conservative health policy expert at the American Enterprise Institute and an ACA critic. The bill would cut Medicaid spending by an estimated $880 billion between 2017 and 2026, the agencies said. That reduction would occur primarily due to 14 million Medicaid beneficiaries losing coverage. The CBO anticipates that some of the 31 states and the District of Columbia that expanded Medicaid would terminate the expansion, as they would no longer receive enhanced federal match payments for that population. In addition, some states that would have expanded eligibility in the future will choose not to do so. Another big factor is that federal payments to the states per enrollee for all Medicaid-eligible groups would be capped at the rate of the medical component of the Consumer Price Index, which lags behind actual Medicaid per-capita costs. In 2026, an estimated 52 million Americans would be uninsured, compared with 28 million uninsured under current law. That would return the nation's uninsured population to about the same level as before the ACA was implemented in 2014. The scorekeeping agencies estimated that in 2018, 14 million more people would be uninsured, largely because the House GOP bill eliminates the ACA's tax penalty for people who don't buy insurance. Joe Antos, a conservative analyst at the American Enterprise Institute, said that estimate is based on the CBO's belief in the efficacy of the mandate penalty, but it may also assume a major exodus of insurers from the individual market. Still, he said the agencies' estimate of an initial 14 million drop in coverage seemed too high to him. The scorekeeping agencies said the House GOP bill's elimination of the ACA's tax penalty for people who don't buy insurance would cause average premiums in the individual market to rise by 15% to 20% in 2018 and 2019, because fewer healthy people would buy coverage. After that, though, premiums would start coming down because the bill's $100 billion Patient and State Stability Fund would stabilize the individual market by reducing the costs to insurers of people with high healthcare expenses. The bill authorizes that funding only through 2026. Another factor causing premiums to fall would be the bill's elimination of the ACA requirement for insurers to offer plans with set actuarial values, covering a certain percentage of medical expenses. That means insurers could sell cheaper plans that offered less financial protection to enrollees. The agencies said the impact on premiums would differ significantly for younger and older people because the bill would allow insurers to charge older people five times higher rates, up from the 3-to-1 variation allowed by the ACA. That would substantially reduce premiums for younger folks and substantially raise them for older people, the agencies projected. Antos said the House GOP bill's replacement premium tax credits would be too small to help older people with lower and moderate incomes to afford insurance. “How accessible is insurance if the net premium is $14,600 for a person with $60,200 income?” he asked. 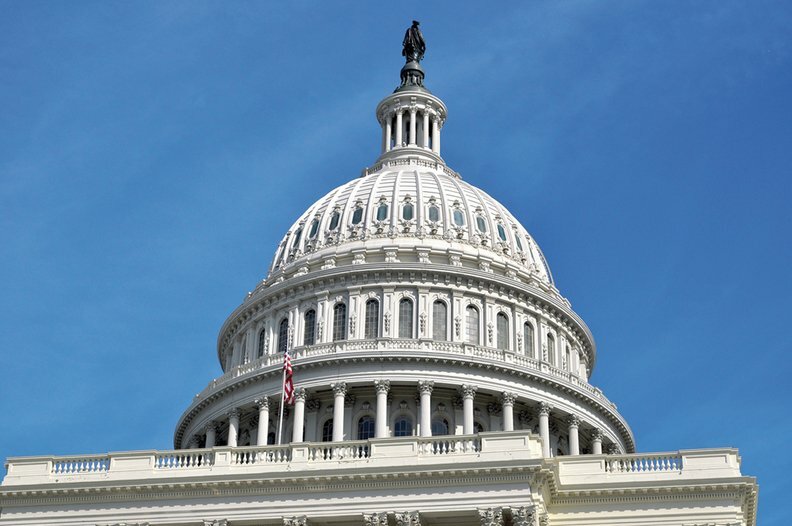 The agencies said the report's estimates are uncertain because it's hard to predict how federal agencies, states, insurers, employers, individuals, physicians, hospitals and other affected parties would respond to the changes made by the legislation. They said they used estimates based on the middle of the distribution of potential outcomes. The actual cost and coverage effects of the legislation could be much less or much greater than the report's estimates. Most healthcare industry groups have come out strongly against the legislation in its current form since it was unveiled on March 6. They are likely to be deeply concerned about the CBO/JCT coverage estimates.